Halt! : VR Road Traffic Madness by Napier @ 0bsolete Lab. Welcome, officer! As you know, experimental self-driving cars are introduced into our city. They comply with traffic signals perfectly, but they don't care about other cars until getting too close! Your task is to bring order to this chaos, until engineers fix the AI error! Halt! : VR Road Traffic Madness is a simulator of road traffic control officer. 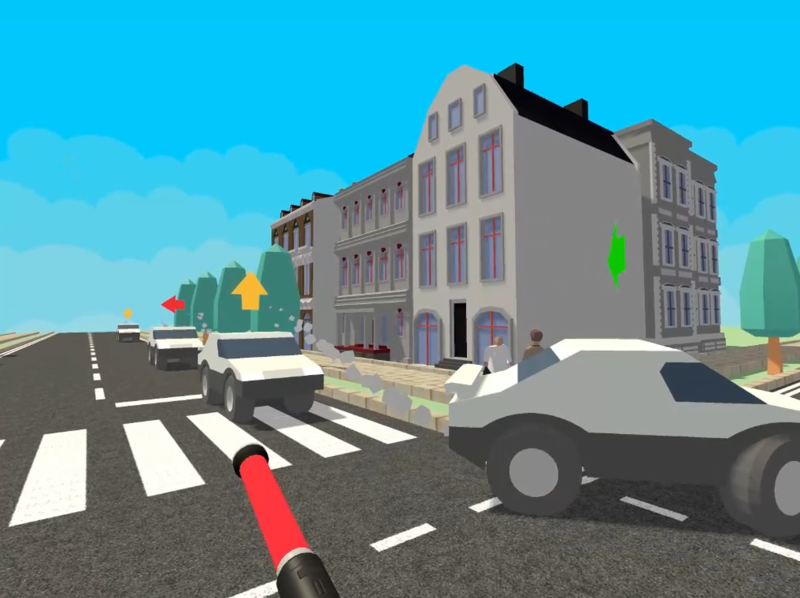 At this prototype version, you deal with endless waves of cars and ambulances. You can wait for a while to create a traffic jam for harder challenge, you can put all your effort to crash cars for fun. Play as you like! First, you need a decent PC with HTC Vive and 2 Vive Controllers. Second, download zip below, extract it. Normal cars, they obey your signal. Ambulances, they won't stop because they're in a hurry! 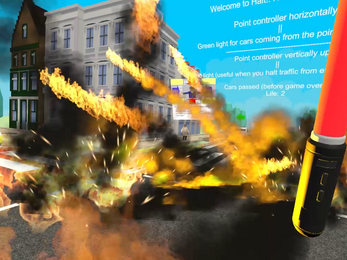 All you need to do: pointing a controller horizontally to allow traffic, vertically to halt. At v1.0, you need to Alt+F4 and restart the game. At v1.5, press the grip button of either controller (I cannot tell which, but probably the one you paired first) to show menu, and keep pointing the menu button. Does it work with Oculus Rift+Touch? I hope so, but since I don't have them I cannot guarantee. Let me know in the comment whether it works! Okay you used many free assets, so which part did YOU actually create? Mainly I worked on setting up environment (i.e. 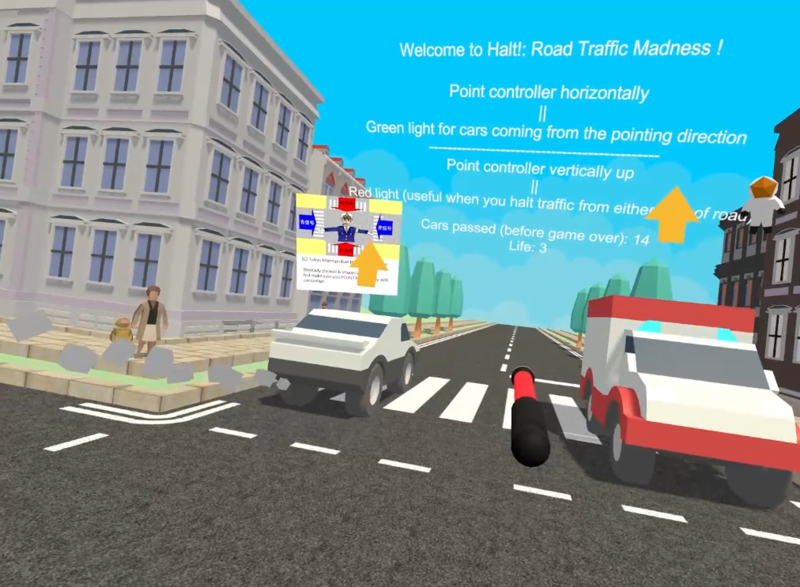 NavMesh, colliders and triggers), writing codes to control cars (Auto cruise, proximity & traffic light detection, path-following physics-based steering), and VR integration with SteamVR plugin (traffic light control using Vive controller). 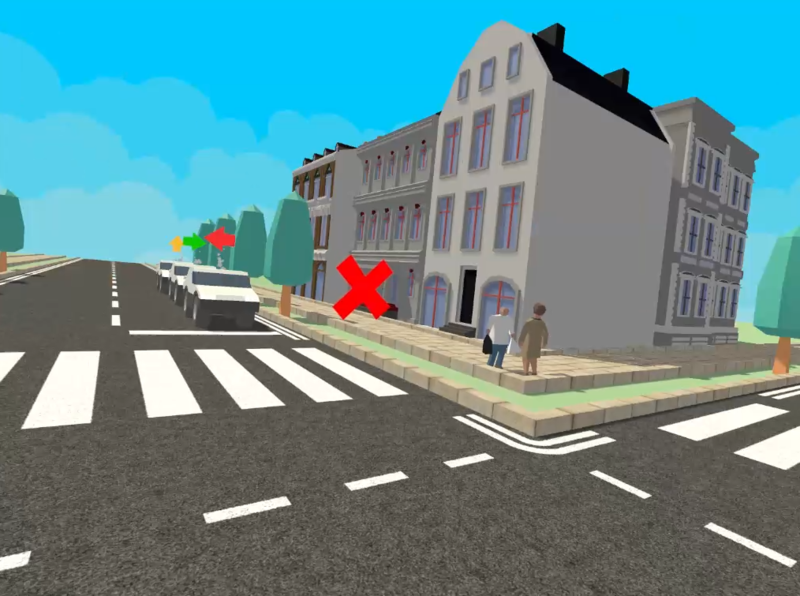 I'm planning to make several goal-oriented levels, gradually increasing difficulty such as low visibility, pedestrians, and additional vehicles like big trucks, motorcades, and trolley! Additionally I will polish UI and create easier level for tutorial. Please let me know if you have any ideas for improvement! Author Napier @ 0bsolete Lab. Halt! v1.5 is available now!